Suicide Squad 2 Starts Shooting in 2018? It has been nearly a year since Suicide Squad first invaded theaters and, while we do know what Suicide Squad 2 is definitely happening, Warner Bros. hasn't given us much in the way of solid information about the sequel. At least, based on what we do know, it doesn't seem like the studio is rushing things, which is probably good. 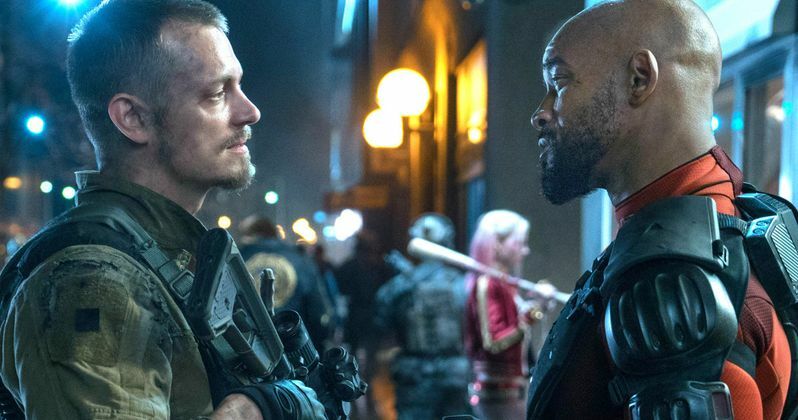 It looks like the sequel is coming together, though, as Joel Kinnaman has revealed that, as far as he knows, Suicide Squad 2 will be shooting next year. The actor, who starred as Rick Flag in the first Suicide Squad, recently spoke with The Hollywood Reporter in honor of House of Cards season 5 arriving on Netflix. Joel Kinnaman, who expects to be back in Suicide Squad 2, was asked about the status of the movie and revealed that the plan is to shoot the sequel at some point in 2018. Here's what he had to say about it. At one point, it seemed like Suicide Squad 2 may be filming this year. Warner Bros. has shifted quite a few things around and, as a result, they only have one DC Comics movie coming out next year, which is Aquaman. Unfortunately, that doesn't hit theaters until December 2018. That means there will be more than a year-long gap after Justice League arrives before another DCEU movie arrives, unless another movie gets the green light soon. Suicide Squad 2 looked like it might be a possibility, but if it isn't going to shoot until 2018, that pretty much rules out any chance of a release within the same year. In terms of a director, earlier this year it was reported that Mel Gibson was in talks to helm Suicide Squad 2, but we haven't heard much else. It also hasn't been confirmed which cast members from the first Suicide Squad are going to return, but the core members of the anti-hero team, such as Margot Robbie as Harley Quinn and Will Smith as Deadshot, are expected to reprise their roles for the sequel.